ST. AUGUSTINE, Fla. -- Authorities rescued passengers aboard a sail boat that got stranded on the jetty rocks and started to sink near the St. Augustine Inlet Thursday afternoon, according to St. Johns County Fire Rescue. SJCFR, St. Augustine Police, city firefighters, the Florida Fish and Wildlife Conservation Commission and Tow Boat U.S. responded to the distress call about 2:15 p.m., authorities said. The tow boat captain was able to bring the vessel ashore along Porpoise Point where rescuers helped the passengers. There were no injuries reported, according to SJCFR. 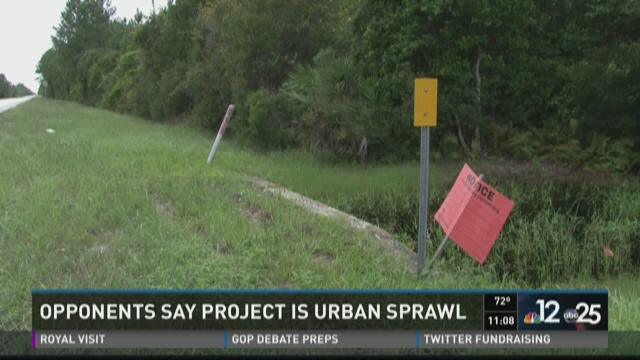 ST. JOHNS COUNTY, Fla. -- The St. Johns County Commission voted Tuesday to stop a massive proposed development in its tracks. The vote was 3-2 to deny the planned unit development (PUD) for the King's Grant project. Critics call it "quintessential urban sprawl." The King's Grant development was proposed for the northwest corner of Interstate 95 and State Road 206 in southern St. Johns County. The project would have included nearly 999 homes, plus commercial space, a hospital, an assisted living facility, and a hotel. The 772-acre project was proposed in a rural, wooded area. Datil pepper tea gives new meaning to "hot tea"
ST. AUGUSTINE, Fla. — Saturday afternoon there was a tea party in St. Augustine. The St. Augustine Pilot Club hosted the event, which drew a crowd of ladies with big hats to the St. Johns County Agricultural Center. 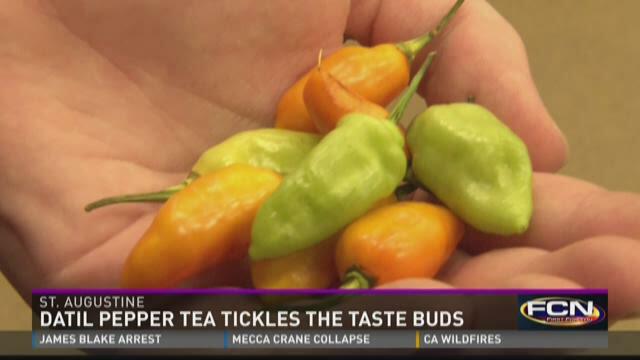 Many wanted to taste the new datil pepper tea. ST. AUGUSTINE — Protesters did their best to mar the experience for celebrants of St. Augustine's 450th birthday party Tuesday morning. 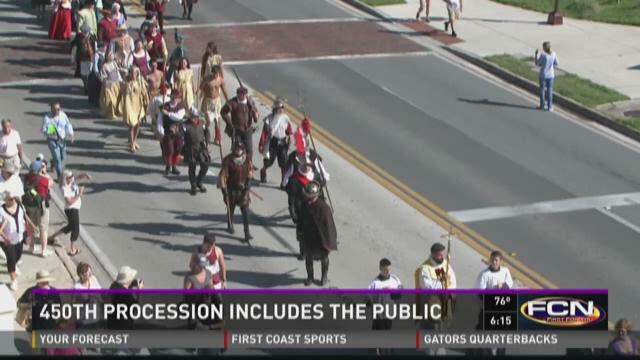 The city turned 450 at 8 a.m. sharp, but the real festivities began around 9 a.m. with the reenactment of Don Pedro Menéndez de Avilés arrival on the shores of what would become St. Augustine way back in 1565. And while you couldn't get away from the protesters - they followed the processional every step of the way, stood outside the Cathedral Basilica downtown, and even tried to intercept Menéndez's boat during the reenactment - they were hardly the highlight of the day. ST. AUGUSTINE — The bulk of the crowds for St. Augustine's 450th gathered around the main stage near the Bridge of Lions. However, there were smaller stages scattered across downtown. They were more intimate settings with local artists and bands. Many of the local bands have great followings. And people raved about the smaller stages. 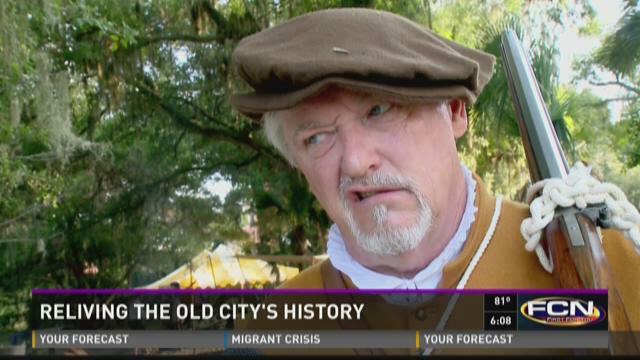 Reenactor: "We like to say we're where legend meets history"
ST. AUGUSTINE — Most of us learn about history from a text book - we normally don't get to relive and see for ourselves what it was really like. 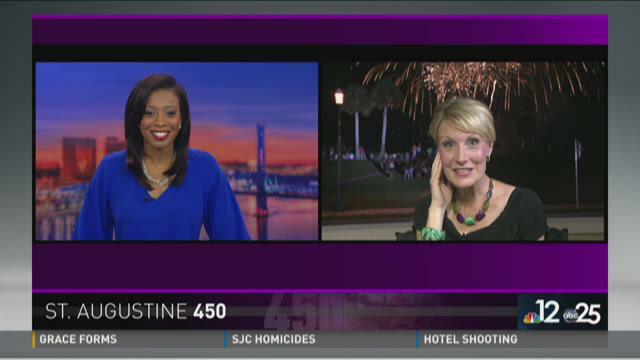 But as St. Augustine celebrates 450 years of existence, you can not only hear about history but you can also see it.